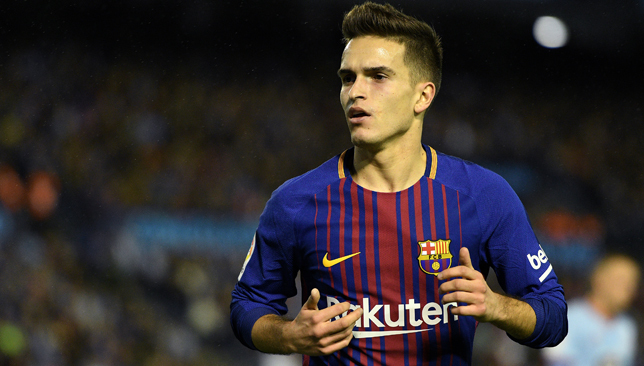 According to reports on Mirror, Denis Suarez wants to move to Arsenal — although Barcelona are trying to sell him to Sevilla or Real Betis. Gunners boss Unai Emery is refusing to give up on signing Suarez before the end of the January window next Thursday night, because they are confident the 25-year-old midfielder is keen on a switch to the Emirates. But the sticking point is that Arsenal want to do an initial loan deal before a permanent transfer in the summer, because of their lack of transfer funds this month. Sevilla and Real Betis, however, are both ready to do a deal now that would keep him in La Liga and are prepared to pay £18million, with Barca now playing hardball to get him out with the Catalan club prefer selling him to a these two la liga sides instead of Arsenal. Barcelona tried to get Suarez to sign a new deal to strengthen their bargaining position, but now he has refused to do that they are ready to ready to leave him out of first-team affairs completely if he doesn’t accept a move to either this month. That seemingly began on Wednesday night, with Suarez dumped from the squad for the Copa del Rey loss to suitors Sevilla. Suarez has Spanish pals at Arsenal and knows Emery after playing for him at Sevilla four seasons ago, so is keen to come to London. Emery is also eager to get a deal done, but will have to hope Barcelona are prepared to negotiate and give some leeway. As such, Here is the final 18-man squad list that last to Sevilla in the absence of Denis Suarez: Jasper Cillessen, Marc-Andre ter Stegen; Nelson Semedo, Sergi Roberto, Gerard Pique, Clement Lenglet, Thomas Vermaelen, Jordi Alba; Ivan Rakitic, Arturo Vidal, Arthur, Carles Alena, Philippe Coutinho, Riqui Puig, Oriol Busquets; Luis Suarez, Malcom and Kevin-Prince Boateng. He has insisted publicly that he will not give up and Suarez remains the most likely deal for Arsenal this month, despite the twist in the story and the growing Barca resentment. Their boss Ernesto Valverde has confirmed he “doesn’t know” if Suarez will remain at the Nou Camp. Do you think Barcelona are doing this on purpose as they are avoiding to sell Suarez to his preferred destination which is Arsenal?